Discovered how methane molecules are distorted and how that affects their removal by supercritical carbon dioxide in layers of clay. Image courtesy of Ted Tanassee and Vanda Glezakou, Pacific Northwest National Laboratory. Copyright 2017, American Chemical Society Enlarge Image. How small molecules interact with surfaces matters for large tasks such as recovering natural gas from shales and catalyzing reactions for fuels. In particular, the molecular details matter. Scientists at Pacific Northwest National Laboratory found out how methane (essentially, natural gas) is distorted and how that affects its removal by supercritical carbon dioxide (used to push natural gas out of reservoirs) in layers of clay. The distortions make the methane stick in the confines of underground clay layers. Removing the methane requires reaching a "sweet spot" with carbon dioxide pressure. Digging into the fundamental chemistry of the molecules allowed this discovery. Why It Matters: Under the right circumstances, methane sticks to a prototypical clay surface. Knowing how and why connections form between molecules and surfaces offers new insights into interactions that matter across scientific disciplines and industry. For example, this work sheds light on the interactions in natural gas reservoirs. It also provides insights as to the structure-reactivity relationships of solid and molecular catalysts, including zeolites. Further, these interactions could benefit studies of gas separation via superstructures that have voids where small molecules can hide. "Our research focuses on the fundamental science -- at the molecular level -- of how methane remains in pockets and how it could be recovered by injecting carbon dioxide," said Dr. Vanda Glezakou, a chemical theorist at PNNL who led this part of the project. 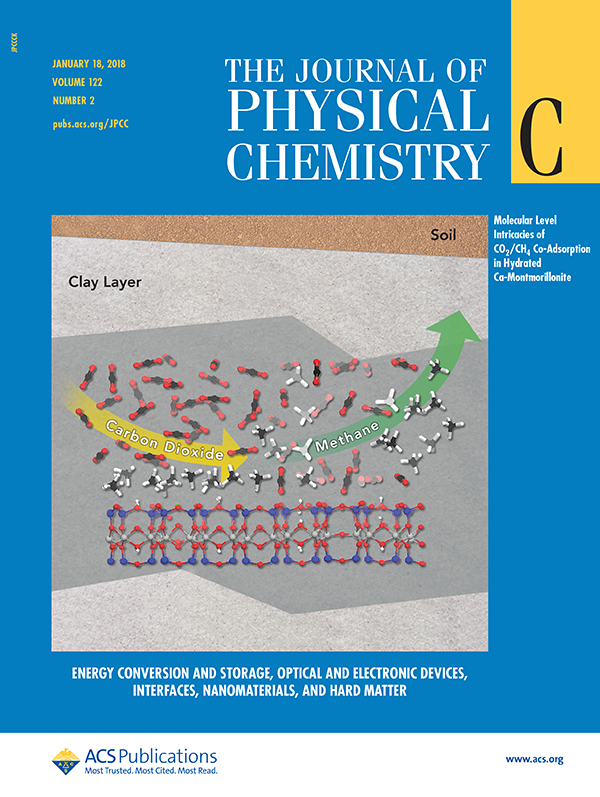 Summary: Working with a prototypical clay called calcium montmorillonite, the team determined the physical changes that make methane stick to the clay even when water and supercritical carbon dioxide are present. This research involved both experiments and simulations at PNNL along with computing resources at the National Energy Research Scientific Computing Center, a Department of Energy Office of Science user facility. In reservoirs, methane resides in pockets formed in the layered clay. Methane, normally an inert and apolar molecule, interacts with water and calcium ions and becomes polarized, with the electrons along the carbon-hydrogen bonds becoming less evenly distributed. The interactions distort the angles and lengths of the bonds in methane. The distortions turn the methane molecules into tiny suction cups that stick to the clay layers. That is, the structural changes translate into a different type of binding between the methane and sites on the surface, specifically calcium ions and surface hydroxides. "A lot of people wouldn't have looked for this interaction," said Dr. Roger Rousseau, a PNNL theoretical chemist on the project. "Thanks to the analysis that Mal-Soon Lee executed so masterfully, we saw it! That's the expertise of our group," said Glezakou. Once the distorted methane binds to the surface and forms a layer, no more methane can attach to the pocket's walls. When supercritical carbon dioxide is added at pressures between 70 and 90 bar, the carbon dioxide starts taking the place of the methane in the layer. At lower or higher pressures, the release just doesn't occur as well. The team's work offers new insights into molecular interactions of interest for fossil fuel recovery, carbon sequestration, gas separations, and catalysis. Sponsors: Department of Energy, Office of Fossil Energy (MSL, BPM, VAG) and Office of Science, Basic Energy Sciences, Division of Chemical Sciences, Geosciences, and Biosciences (RR, VAG).